The Talpiot tomb: the burial place of the family of Jesus? 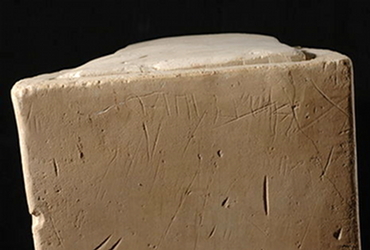 During construction work in March 1980 at Talpiot (‏תלפיות‎), a suburb of Jerusalem some 5 km south-east of the historic city established in 1922, contractors uncovered the entrance to a previously unknown tomb carved into the local limestone bedrock. Its entrance was marked by a carved façade with a steeply carved false pediment and a circle beneath; there are other tombs of similar design in the area, which appear to date from the first centuries BCE and CE. The local supervisor for the then Israel Department of Antiquities (now the Israel Antiquities Authority, ‏רשות העתיקות‎), Amos Kloner, visited the site the day after its discovery and drew up a project design for its salvage excavation by Yosef Gat (with Eliot Braun, Shimon Gibson and Joe Zias), which was completed in a matter of days. They uncovered six separate burial shafts within the tomb and two recessed shelves where bodies were laid out for defleshing. The bones were collected from these shelves and placed into ossuaries (bone boxes), of which ten were found in the tomb. Six of the ossuaries were found to carry inscriptions and all contained human bones; one of the uninscribed ossuaries was also undecorated and no photographs were taken of it. In addition, fragments of bone were found on the recessed shelves and three skulls were recovered from the floor; the excavators believed this scattering of bone to have occurred during the looting of the tomb in antiquity. All the bone material was reburied by religious authorities without any osteological analysis. Although Josef Gat (who died in 1993) published a brief summary note on the excavation in 1981, Amos Kloner published a more detailed account of the work on the tomb in 1996, using data from Levy Yitzhak Rahmani’s work on the inscriptions, published in 1994. After the completion of the apartment blocks on the site in 1982, the site appears to have been left open. It is now in a courtyard on Dov Gruner Street, at the junction of Olei Hagardom Street and Avshalom Haviv Street. A local resident, Tova Bracha, complained after her children had made their way into the tomb and found scraps of manuscript religious texts, which suggests that it was being used as a genizah, a repository for texts considered too holy by Judaism to be destroyed. Following this, the local authorities sealed the entrance with a concrete slab. The wider public was first alerted to the tomb as a result of a BBC documentary The Body in Question in the series The Heart of the Matter, shown on Easter Sunday (7 April) 1996 (unfortunately, the BBC website has no archives relating to this programme). Presented by Joan Bakewell, it posed an hypothetical question: how would Christianity be affected if evidence that Jesus was not resurrected and ascended bodily into heaven—as the New Testament sources claim—were found? Although the programme makers Chris Mann and Ray Bruce at no point claimed that the inscribed ossuaries named Jesus of Nazareth, they speculated on the ramifications of discovering an ossuary that did name him unequivocally. Joan Bakewell subsequently wrote an article for The Sunday Times that highlighted the inscribed ossuaries and was roundly criticised by various Christian groups and other broadsheet newspapers. Joan Bakewell subsequently wrote an article reflecting on the controversy for The Independent of 2 March 2007, when the next chapter in the story unfolded. In 2005, the Canadian investigative journalist Simcha Jacobovici entered the tomb for filming, although he did not have permission from the Israel Antiquities Authority. He and director James Cameron (best known for Titanic) were making a documentary about the tomb, which they believed to have been the tomb of Jesus of Nazareth and members of his family including, controversially, a supposed wife and son. Following this unauthorised intrusion, the tomb was resealed and is not now accessible to the public. Jacobovici and Cameron’s documentary was released in March 2007, to a great deal more controversy than The Heart of the Matter had generated. Controversy has centred on the six inscriptions, five of which are in Aramaic and a sixth in Greek. They read (701) Μαριαμηνου-Μαρα (Mariamenou-Mara; this is the Greek text and the reading is disputed), (702) ‏יהודה בר ישוע‎ (Yehudah bar Yeshu‘a), (703) Matiah, (704) Yeshu‘a bar Yehosef (again, the reading of Yeshu‘a is disputed), (705) ‏יוסה‎ (Yoseh) and (706) Maryah (the numbers refer to their catalogue entries in Rahmani’s A Catalogue of Jewish Ossuaries in the Collections of the State of Israel (Israel Antiquities Authority, 1994)). These names can be transcribed into English as Mariamne compounded with a variant of Martha, Judah son of Jesus, Matthew, Jesus son of Joseph, Joseph and Mary (albeit an Aramaic transcription of the Latinised form of the name). Although there have been suggestions that the readings of Ossuaries 701 and 704 are uncertain (the first has been read Μαριαμ η και Μαρα (Mariam who is also Mara) and the second as Hanun bar Yehosef), there is no question that they are not genuinely ancient. This is unlike the ‘James the Just ossuary’, which is demonstrably at least in part a forgery. The controversy is therefore about their content, not their authenticity. The arguments began with Jacobovici and Cameron’s documentary, The Lost Tomb of Jesus and its follow-up book, which used a statistical analysis of the names performed by Dr Andrey Feuerverger of the University of Toronto to argue that the tomb could not be of anyone other than Jesus of Nazareth and his immediate family. In other words, they transformed The Body in Question’s hypothetical scenario into an hypothesis and identification. Although the names are all common names of the first century CE (Mary accounts for 21.3% of contemporary women’s names, Joseph for 8.3%, Judah for 6.2% and Jesus for 3.8% of men’s names respectively), they argue that the chances of these names occurring in combination were one in six hundred. In other words, there is a 600:1 likelihood that this is the tomb of Jesus of Nazareth and his family. They also suggest that the missing tenth ossuary was the ‘James the Just ossuary’. However, there are problems with their statistical analysis apart from the commonness of the names recorded. Firstly, they count Joseph twice, which is inadmissible, as there is no evidence that the Yoseh of Ossuary 705 is to be identified with the father of the Yeshu‘a bar Yehosef of Ossuary 704. Secondly, the probability that an individual named Yehoshu‘a had a father named Yehosef is 0.83, that one of the burials was of a Maryam is 0.616 and that an individual named Yehoshu‘a was the son of Yehosef and Maryam is 1.26; as at least twenty-two ossuaries belonging to a Yehoshu‘a have been identified, it is very likely that this combination of son and two parents would occur by chance in the existing assemblage. Indeed, given the likely number of people in Jerusalem during the period when the ossuaries were made, around 80,000 men, it is statistically likely that around a thousand men were called Yehoshu‘a bar Yehosef. Thirdly, as there is no evidence that Jesus of Nazareth had a son at all, let alone one called Yehudah, it is not valid to use this name in the statistics. Fourthly, there is nothing to indicate that Mariamne (or Mariam, according to the alternative reading) was the wife of Yehoshu‘a bar Yehosef and she could have been the wife of any of the men in the tomb. In January 2008, the Third Princeton Theological Seminary Symposium on Jewish Views of the Afterlife and Burial Practices in Second Temple Judaism was held in Jerusalem and it was specifically themed as Evaluating the Talpiot Tomb in Context. Simcha Jacobovici issued press releases stating that biblical scholars had now vindicated his claims, especially regarding the statistical data, and that the issue was now once again open for discussion. Both Time magazine and CNN covered the symposium in some detail, giving the public the impression that respected scholars were now taking the hypothesis seriously. However, shortly after the symposium, a group of fifteen scholars who had been present and including both Amos Kloner and Joe Zias, who had worked on the origianl excavation of the tomb, issued an open letter stating that Jacobovici had misled the press about the reaction of the scholars present and that other than from James Tabor and Jacobovici himself, there had been little support for the hypothesis. Indeed, a leaked memo written before the symposium took place complained about Tabor and Jacobovici attempting to “distort the agenda and skew the proceedings in a way that was favorable to their pre-conceived plan” (the source can be found on Joe Zias’s website, which also hosts a thorough and very useful ‘deconstruction’ of the documentary). Jacobovici and Cameron use their ‘secure’ identification of the individuals buried in the tomb to undermine the reliability of the New Testament sources for the life and family of Jesus of Nazareth. Following recent discussions about the role of Mary Magdalene in the development of Christianity, they follow a number of recent conspiracy theories that make her his wife. The documentary claims that DNA analysis of the bone fragments from Ossuary 701 (which they identify as belonging to Mary Magdalene) and those from Ossuary 704 (supposedly Jesus of Nazareth) shows that these individuals were married rather than related by blood. Of course, this is a ridiculous claim, as DNA analysis shows whether or not people share a common ancestor, not their marital status. Finally, Robert Genna, the analyst quoted by the documentary as confirming that the patina on the ‘James the Just ossuary’ matches those on the ossuaries from Talpiot, now denies every having said it. The only real evidence we have about the family of Jesus of Nazareth comes from the New Testament, which is contradictory in places. Nevertheless, all the sources agree that the mother of Jesus was called Mary, that she was married to Joseph (although the story of the virgin birth would mean that Joseph was emphatically not the father of Jesus) and that Jesus had at least four brothers (James ‘the Just’, Joses, Simon and Judah) and at least two sisters. None of the sources (whether canonical or otherwise) indicate that he was married and only a few apocryphal texts suggest that there was anything special about Jesus’s relationship with Mary Magdalene: even then, that relationship does not stretch to marriage. According to the historian Hegesippus (c 110-180 CE), as quoted by Eusebius (c 260-340 CE), descendants of Jesus’s brothers continued to lead the Jerusalem church until the early second century CE. Any other relations named by modern authors are nothing more than speculation. A great deal of what is presented to the public as biblical archaeology is nothing of the kind. All too often, it consists of a search for sites and artefacts that ‘confirm’ what the Bible says. A great many of its practitioners start out from a particular religious viewpoint (usually orthodox Judaism or a Christian sect) and aim to find evidence that backs up their literalist interpretation of the sacred texts. This seems to have been at least part of the motivation behind the forgery of the ‘James the Just ossuary’ and other dubious artefacts traced back to Oded Golan (the other being financial, of course). The growth of conspiracy theories relating to Jesus of Nazareth and alleged bloodlines descended from him has led to a new form of biblical archaeology that might be called deutero-canonical archaeology or even heretical archaeology. These types attempt to undermine the biblical account rather than upholding it. This is the clear motivation behind the work of Jacobovici and Cameron: they are seeking a sensationalist interpretation that ‘confirms’ the unwarranted speculations of The Holy Blood and the Holy Grail regarding the marital status of Jesus and of a bloodline descended from him that has somehow manipulated western civilisation through a secret society, the Prieuré de Sion, unattested before 1956. That this society was an invention of an eccentric twentieth-century Parisian occultomane, Pierre Plantard (1920-2000), and that the idea of a marriage between Jesus and Mary Magdalene had never been suggested (other than in fiction) before 1982 ought to make those looking for confirmation in the ossuaries of the Talpiot tomb think very hard about what those ossuaries are supposed to confirm. Those who believe Jesus never existed are claiming that there was no town Nazareth during the supposed time of Jesus. How do you answer this? I don’t answer it. You haven’t asked a question. Yes, there are those who deny that Nazareth existed at the start of the first century CE. They aren’t necessarily the same as those who deny that Jesus existed. For instance, those who believe in the Jesus bloodline nonsense tend to believe that there was no town of Nazareth at the time he lived. By definition, they believe in the existence of Jesus! But, if you want my opinion, the archaeological evidence suggests that Nazareth was a small place at the time; it’s not mentioned outside non-Christian sources until the third century CE. There are Biblical scholars who argue that the term Nazarene (Ναζαρηνός or Ναζωραῖος in the original Greek) does not refer to Nazareth at all but rather to a Nazirite, an especially religious Jew; the Gospel writers were ignorant of the original meaning of the term and thought it referred to Jesus’s home town. I’m not qualified to judge whether or not this is a reasonable argument, although I would say that it seems to be fairly widely believed. Is there any peer-review affirming the datings of the pottery sherds found in the Nazareth basin? Where can I get further information about non-biased reviews of excavations done in Nazareth throughout the last century? 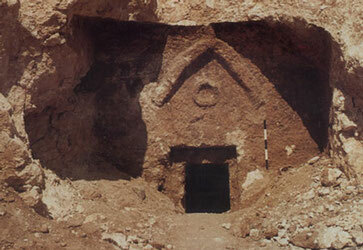 Are you aware of any archaeological finds from the area of Nazareth that date back to the supposed life of Jesus? “An archaeological excavation the Israel Antiquities Authority recently conducted has revealed new information about ancient Nazareth from the time of Jesus. Remains of a dwelling that date to the Early Roman period were discovered for the first time in an excavation, which was carried out prior to the construction of the “International Marian Center of Nazareth” by the the Association Mary of Nazareth, next to the Church of the Annunciation. You are quite right about the bogus nature of Cameron and company’s statistical claims, but I think yours are a bit off as well. If 3.8% of 80,000 men in Jerusalem were named Yeshu’a / Yehoshu’a, then that means about 3040 had that name. If their fathers were named Yehosef at the rate you state was typical of first century Palestinian Jewish men (8.3%), then we would expect around 252 Jesus bar Josephs in a population of 80,000 men. This assumes that sons of Joseph are neither more nor less likely than average to be named Jesus / Joshua than anything else. Is the claim that “the probability that an individual named Yehoshu‘a had a father named Yehosef is 0.83” supposed to mean, “given the number of Yehoshu’a ossuaries with father’s names we have found and the commonness of the name Yehosef … ” or should your probability be .083? The statistical paragraph in general is written unclearly and seems at least to make some dubious claims. How would it be even remotely possible to assess the relative frequencies of some given names in a barely literate society for a certain period of time some 20 centuries ago to three decimal places? To me, a “barely literate” society is one where the overwhelming majority (more than 80%, say) are unable to read and write anything other than there own names. Tax registers were maintained by and for the literate minority. When I watched some of Simcha Jacobovici’s programs it quickly became clear that he is not an archaeologist looking at available evidence and working toward a plausible conclusion. He appears more like a tourist who walks into a shrine, tomb, or ancient ruin, and then makes spurious links to biblical texts that he then uses to prove the bible is correct. His conclusion are not based on the archaeological evidence, rather he bases his conclusions on biblical texts that, however tenuous, links with whatever site he’s on for any given program. I know he’s trying to make archaeology exciting and working to increase viewership, but it’s all a bit self-serving, methinks, and clearly religiously slanted. A detail just to clarify, the James ossuary was considered true, then the information that was false is not true. I thought that Jesus was a Galilean. Why should his family tomb be found near Jerusalem?